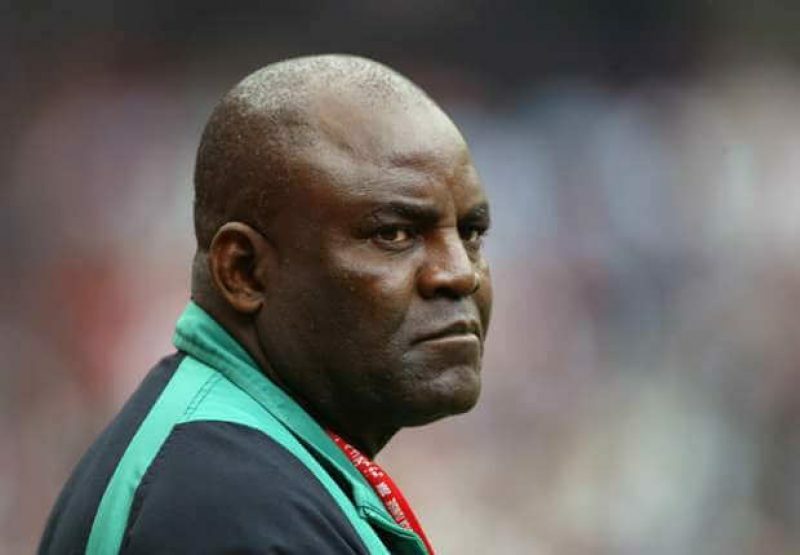 The Government of Enugu State has disclosed that it will not hesitate to respond appropriately if at any time the hospital doctors or the Christian Chukwu family indicate that oversea treatment is required for the former Super Eagles’ coach who is presently ill. It was reported that Christian Chukwu took ill April 8 and needs $50,000 for medical trip abroad to save his life. In a statement signed by the Commissioner of Information in the state, Ogbuagu Anikwe said the government has been restrained on the spate of misinformation and outright lies promoted by the said friend of the iconic Enugu Rangers player, Mr. Chukwu, noting that it being reserved is out of respect to the wishes of both the Chukwu family and the request of his doctors who wanted a space to quietly deal with the emergency situation that brought Chukwu to hospital on a stretcher. “In the circumstance, Christian Chukwu is an employee of the Enugu State Government. This was one of the strategies that Rt. Hon. Dr. Ugwuanyi, the Governor of Chukwu’s home state of Enugu, designed to take care of sportsmen who had served the State or the nation in their youth. “When Chukwu’s health situation was brought to the attention of his employer – Rangers Management Corporation – he was rushed to one of the best medical facilities in Enugu where a team of five (5) specialists have been attending to him. “The management of Rangers Management Corporation immediately deposited N200,000 with this health facility to begin his treatment. “On hearing about his health condition, Gov. Ugwuanyi gave an additional N1.5million to the Commissioner for Youth and Sports to give to the family — in order to ensure that the football legend did not lack anything that the team of specialists may require to manage his condition. “The Governor has also given an additional N1million to the family when the doctors demanded for a further deposit, bringing the total amount disbursed by Gov. Ugwuanyi and the Rangers Management to the Chukwu family to N2.7million. “The total bill submitted to date by the hospital for Chukwu’s treatment is N2.7million. “To date, the doctors taking care of Chukwu have NOT released a medical report of his health condition to anyone, not even to the state government that has been picking up his bills. It is therefore curious how anyone without this information could have determined that (a) Christian Chukwu needs oversea medical care, and (b) the cost of this oversea care. “This point needs restating: the medical director of the Hospital is also as surprised as we are that someone in the USA who is not privy to a medical report on Chairman Chukwu’s condition can determine that (a) Chukwu needs a treatment abroad (b) the cost of such treatment, and (c) even without Chukwu or any member of his family asking for a second medical opinion or for treatment abroad. “Our intervention on this matter has become necessary to clear the air on the spate of misinformation, disinformation and outright mischief that otherwise well-intentioned commentators have continued to dish out, based on the misguided efforts of a friend of the football legend who is giving a false impression that Chukwu is a destitute old man, perhaps in a bid to whip up public sympathy that enables him meet his goal of raising money to help his friend. “Finally, if at any time the hospital doctors or the Chukwu family indicate that oversea treatment is required, the Enugu State Government will be notified and will respond appropriately,” the statement added. Only yesterday, April 9, 2019 Billionaire Businessman, Femi Otedola said he would foot the medical bills of Mr. Chukwu.